There can be no denying it, cruising is booming! Cruise lines are increasing the size of their fleets and new and exciting ports are introduced to cruise programs every year. 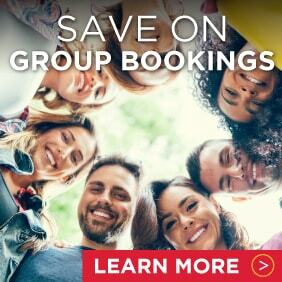 However, the big drawcard for families are the fantastic inclusions that cruising offers: all your onboard meals, activities to entertain the whole family, and amazing facilities onboard with some ships featuring ice skating rinks, rock climbing walls, bumper cars, water slides and much, much more. Combine this with fantastic affordability plus itineraries visiting beautiful ports and you’ve ticked all the boxes for your next family holiday. 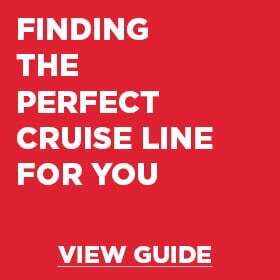 To answer some of your family cruising questions, check out our guide below. Cruising is a fantastic opportunity to spend time with the family, with activities and onboard amenities providing copious fun for small children and adult children alike. But with the growing pressures on parents in this ever-evolving, electronic world, they need a break too. Cue kids’ clubs! These facilities dedicate themselves to giving your kids an entertaining cruise holiday with other children their own age, while their parents spend quality time to themselves. You could bask in the sun on a deck chair with a cocktail in hand, enjoy an intimate culinary experience at one of the onboard specialty restaurants, or just take advantage of the quiet by taking a well-deserved holiday nap. The possibilities are endless, and the kids will be having so much fun in your absence you might find that they never want to leave! Please note, in most instances, children are only permitted to participate in the kids club facilities if they are fully toilet trained (no nappies or pull-ups) and they must be able to independently use the bathroom. The staff at the kids’ clubs are unable to assist in the bathroom in any way. Please contact us should you wish to confirm the specific toilet training requirements of your desired cruise line. NB: Children who are not toilet trained (and those in diapers or swim nappies) are not allowed in any of the water facilities onboard. Babysitting: ‘Night Owls’ is Carnival’s group babysitting service within the kids club and is available for a fee between 10pm and 1am. Service is only available for children between the ages of 12 months and 11 years. #Must be accompanied by a parent or guardian. Babysitting: Group babysitting in the Fun Factory is available for children aged between 3 and 11 between 10pm and 1am for a fee. Alternatively, in room babysitting is open to children 12 months or older for up to three children from the same family at a fee. Babysitting: The Mini & Maxi Club facilities are open for 3 to 11 year olds between the hours of 9am and midnight. No other babysitting service is available. Babysitting: Group babysitting is available for children up to 3 years of age at the ‘It’s a Small World Nursery’. Additional fees apply and this service is subject to availability. NB: Some ships in the Holland America fleet do not offer kids club facilities. Babysitting: Group babysitting is available for a fee from 10pm until midnight at ‘Club HAL After Hours’ for children aged three and over. At other times and for children under the age of three limited babysitting is available and can be requested through the front desk for a fee. + Must be accompanied by a parent. ~Available on select ships only. Enables infants to enjoy 2 hours of play per day with parents. Babysitting: ‘Late Night Fun Zone’ is available for a fee between 10.30pm and 1.30am and is for children between the ages of 3 and 12. Children in nappies are allowed to participate, however staff cannot change nappies or pull-ups. Parents of children in nappies will be provided with a pager when they drop their children off, and will be alerted when their child needs assistance. All pages must be responded to within 15 minutes. ¤Children under the age of two are able to use the Kid’s Club Facilities under the direct supervision of their Parent/Legal guardian. To attend the Kid’s Clubs without a Parent/Legal guardian children must be toilet trained. Babysitting: Group childminding is available for a fee for children aged between 2 and 12 years between 10.30pm and 1am. ^Children under the age of three are able to use the Children’s Centre Facilities under the direct supervision of their Parent/Legal guardian. NB: Some ships in the Princess fleet have limited childcare facilities. Babysitting: Group childminding is available for a fee for children aged between 3 and 12 years between 10pm and 1am. ¥Only available on certain ships at an additional charge. Parents will be contacted should their child require a nappy change. Babysitting: In cabin child minding available for children over the age of one between 8am and 2am at a per hour fee. With so much media hype recently about cruising and its amazing offerings for holiday-planning parents, it can be tempting for parents with infants to want to try the family cruising experience. However, limited neonatal facilities onboard cruise ships can mean that an emergency out at sea could have terrible consequences. As such, cruise lines have very strict criteria regarding the minimum age of passengers able to board their ships. 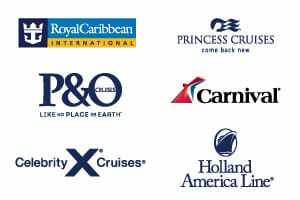 Please refer to the below table as a guide, though it is always recommended to confirm the specific criteria for your preferred cruise line prior to booking. * Upon date of embarkation. Subject to the discretion of the cruise line and can change at any time. All cruises are subject to itinerary changes that may result in infants under 12 months of age being unable to travel. Please contact us prior to booking to confirm eligibility for your infant to travel. Due to limited neonatal and postnatal facilities onboard cruise ships, cruise lines cannot, for safety reasons, carry passengers who will reach their 24th week of pregnancy by the end of their cruise. 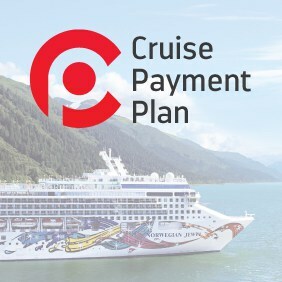 In addition, for those women who are less than 24 weeks pregnant, cruise lines may require you to supply doctor’s certificates and/or complete forms to submit to the cruise line prior to travel. If you are pregnant and planning to cruise, please contact us to confirm the specific requirements for your preferred cruise line to ensure smooth embarkation and safe travels. What is supplied onboard for children and infants? Baby food and Formula: Baby food and formula is not carried onboard. Distilled water can be brought onboard or can be purchased. Baby food can be brought onboard but must be pre-packages, unopened and cannot require any food prep from dining staff. Home made items or pre-cooked foods will not be permitted. All items must be stored in your stateroom. Children’s menu: Available at most onboard dining venues. Cots/Cribs: Must be requested at time of booking and are not guaranteed. High Chairs: High chairs and booster seats are available in the dining rooms and restaurants on request. Strollers/Prams: Single and double strollers are available to rent onboard for a fee, subject to availability. Baby food and Formula: Any requests for baby food must be made at time of booking. Otherwise there is no baby food or formula available onboard. Children’s menu: Available at the buffet and main dining room. Baby food and Formula: Not supplied onboard. High Chairs: High chairs and booster seats are available in most dining rooms and restaurants on request. Baby food and Formula: Shops on Disney cruise ships offer baby supplies for sale including formula and baby food, subject to availability. Nappies: Shops on Disney cruise ships offer baby supplies for sale including nappies, subject to availability. Strollers/Prams: A very limited number of strollers are available onboard on a first-come first-served basis. Baby food and Formula: Baby food can be requested prior to departure for a nominal fee. Children’s menu: Available in the Dining Room, Lido Restaurant and Terrace Grill. High Chairs: High chairs are available in the dining rooms and restaurants on request, subject to availability. Nappies: Nappies can be requested prior to departure for a nominal fee. Baby food and Formula: Not provided but can be brought onboard. Cots/Cribs: Must be requested in writing at time of booking and must be confirmed in writing by MSC head office. Children’s menu: Available at select onboard dining venues. Cots/Cribs: Must be requested at time of booking and are not guaranteed. It is recommended to book a larger stateroom to accommodate the size of the cot. High Chairs: High chairs are available in the dining rooms and restaurants on request. Nappies: Not available onboard but can be pre-purchased for delivery to your stateroom. Baby food and Formula: Not supplied however P&O Australia can store any baby food or formula. It must be sealed, and commercially produced and packaged. Children’s menu: Waterfront restaurant has a special kids menu on offer each day. There is also a kids only dinner each night at the Plantation Restaurant. Cots/Cribs: Cots must be requested at time of booking. Please note, when a cot is being used a Queen Bed cannot be accommodated. Bedding will be 2 x Singles and 1 cot. Baby food and Formula: Formula not provided. With advance request Princess can offer Stage 1 and Stage 2 baby food. Guests can also request fresh foods to be pureed for the baby’s consumption in the main dining room. Baby food and Formula: Not available onboard. Children’s menu: Available at select onboard dining venues upon request. Cots/Cribs: Cots must be requested at time of booking but are never guaranteed. If you have a family of four, you will find that most ships can accommodate you within their quad cabins (these rooms tend to be bunk bed style), however any more than four and you’ll start to have troubles. While you can find interconnecting cabins on most ships, many parents would prefer to book a single room to accommodate their whole family. And you do have options! See below a guide of rooms that are able to accommodate more than four to one cabin and on which ships you can find them. Please note, these cabins are extremely popular and tend to book out quickly. As most of these options cannot be booked online, please contact us to secure your cabin. NB: Cabins may be referred to by different names on each ship to those listed. If you are unsure, please contact us. The Haven: Two Bedroom Family Villa with Balcony 6 guests Norwegian Escape, Norwegian Getaway, Norwegian Breakaway, Norwegian Epic, Norwegian Gem, Norwegian Jade, Norwegian Jewel, Norwegian Bliss, Norwegian Pearl. Correct as at March 2018. While every effort has been made to ensure this information is as accurate as possible, it is to be used as a guide only, is subject to change, and may vary between different ships within each cruise line.